There is one significant difference about living in Tucson, Arizona, rather than Lima, Peru: You can't just walk to the beach, wade out a few yards in the warm southern Pacific Ocean and extract fresh catches with your bare hands. The patriarchs of Villa Peru did just that when they were younger, growing up in Peru's bustling capital city. Chef and owner Walter Salazar moved to the United States in 2001 with his wife Frida to start a new life. 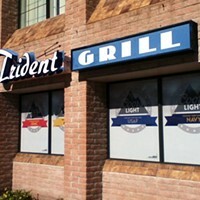 Soon after their arrival, they opened their first place up in Tempe. With kids going to the UA and married to active-duty military stationed nearby, the family decided to close the original and move their regional cuisine into the old Contigo space on East River Road. 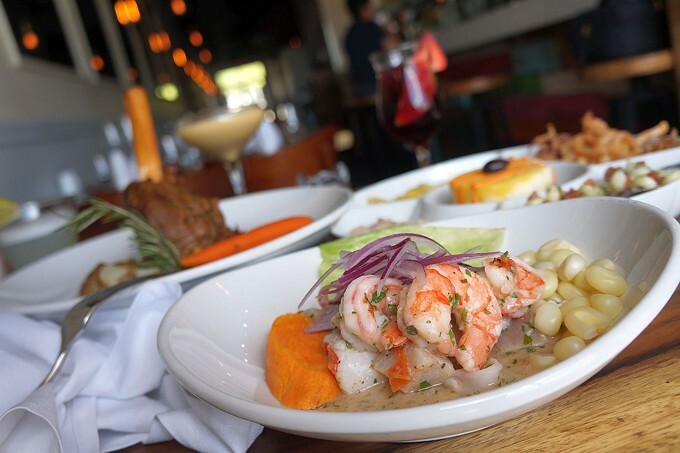 Peruvian cuisine has many influences dating back to early immigrants from Europe, Asia and West Africa, along with indigenous culture, such as the Quechua and Huanca people, so there is a vitalizing embrace of local produce and protein. Common ingredients usually found on traditional plates are corn, chili peppers and lots of different styles of potatoes, which grow rampant in that near-tropical climate. What Walter and his family do with such earthy crops, paired with the harvest from shore or land, is simplicity at its best and simply exquisite. "One item that you will not find on a traditional Peruvian plate is tortillas," says Frida Hunt, who is Walter's daughter as well as the restaurant's co-owner and house manager. "Beans as well are pretty rare too, historically, in our food. Peruvian cuisine is all about spices and flavors. Everything is house-made and organic here, with a little mix of all of the cultural influence." The first thing I noticed when I walked into Villa Peru is how it reminded me of a tucked away, word-of-mouth restaurant you would find in New York or Chicago. It's much longer than it is wide, with weighty flatware, dim exposed light bulbs and a slick bar situated in back. When you sit down, you are treated to a menu that is at once succinct and saporous, which I am always appreciative of. 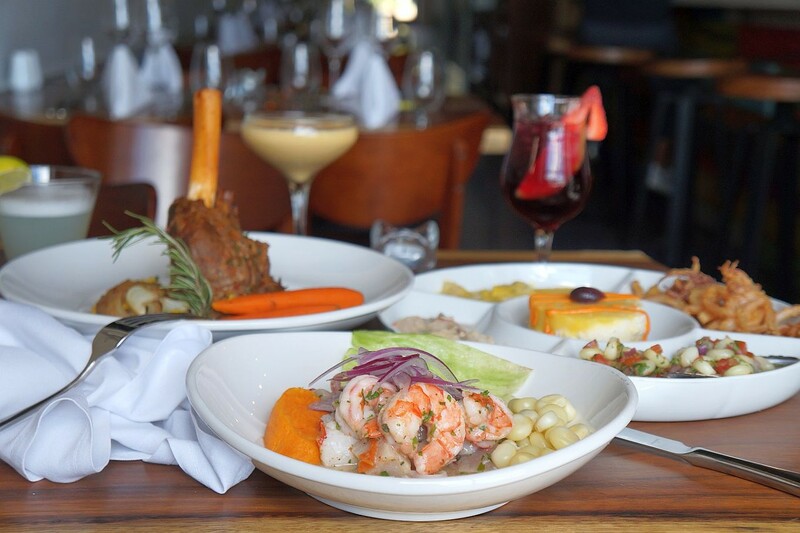 You can tell immediately that the Villa Peru family has pared down and carefully considered each dish. They serve three different appetizers made from root vegetables, including the Papa a la Huancaina ($7.99) which is a gathering of sliced potatoes, aji-amarillo (a yellow hot pepper) sauce with feta cheese, Bojita olives (which come from a rare strain of trees in Peru) finished with a perfectly boiled egg. This forthright plate of ingredients aligned so well on so many veritable levels. Provincial charm was found in their Corazon ($9.99) plate that offers grilled veal heart, choclo (corn), antichuchera sauce (a lovely blend of garlic, chilies and red wine vinegar) and, yes, a confit of colorful potatoes. The coppery hue that oftentimes arrives with eating offal was all but lost with the texture and components, making this a wink at coastal Peru food. Speaking of which: What will keep diners returning and will cause a food-scene stir is the collection of ceviches (anywhere between $8 and $20). As said earlier, here in the Sonoran Desert, we don't have the luxury of casting lines in the salty brine of an ocean, rich with fish both scaled and shelled, but that doesn't mean we have to miss out on the experience of enjoying near-beachside freshness. Luckily, I had the opportunity to sample a few, and I am here to implore you to do the same. No time to feature just one or two, as I am running out of word space, so do your part and please partake. What does need to be said about the tradition that Villa Peru embodies is the fact that Walter imported an oven that is specifically used just to cook chicken. "This is something my father was strict on having," Frida says. "It gives our chicken an authentic flavor from Peru. It is very unique because it is very traditional." 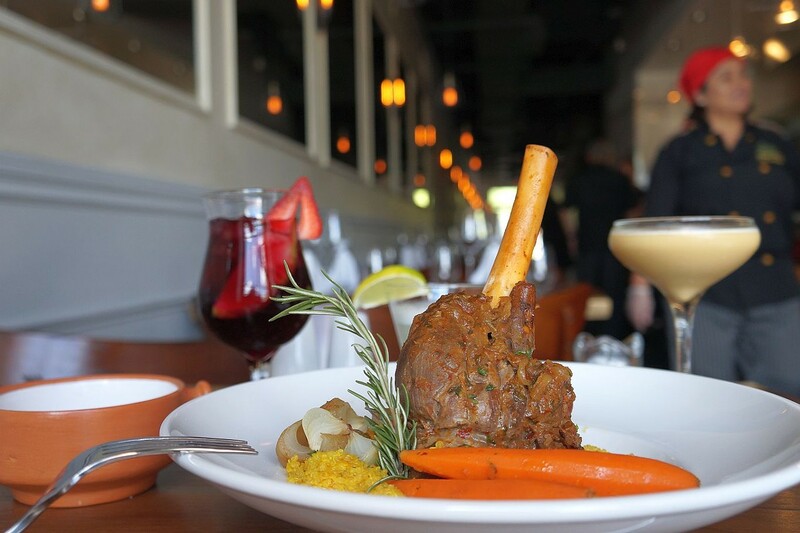 Beyond the roasted chicken dishes ($10-$28) and entrees ranging from braised lamb shanks ($23) to whole fried snapper ($25), another Lima import served is a brandy-style spirit called Pisco. Pisco has a slightly fruity element, and it is used in almost every house craft cocktail, such as their take on a mule ($9), greyhound ($9.50) or mojito ($9), although the signature drink would have to be the Pisco Sour ($9.50), a delicious fable that can turn any margarita fan over to the Peruvian side. With everything delicious and ancestral Villa Peru offers, all we can do is say bienvenido!